With the press days at the New York Auto Show wrapping up this week and all of the photos of new, flashy cars behind us, it only makes sense to slow down and appreciate an oldie with our wallpaper photo this weekend. 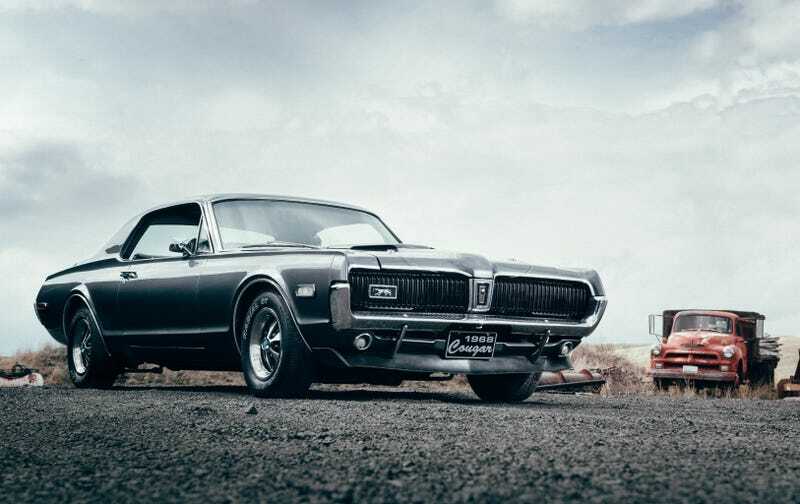 The photo comes from DW Burnett, and features a 1968 Mercury Cougar XR7 wearing a gunmetal shade painted by the owner himself. The next model year of the XR7 made an appearance in the 1969 James Bond movie, On Her Majesty’s Secret Service. If you’re interested in the XR7 and the other Bond cars, feel free to scroll through a gallery from the Bond in Motion museum exhibit in London. Below is another photo from the shoot—just for fun—and you can find links to large versions of both photos at the bottom of the page. May your week ahead be as classic and as calming as the photos above. If you have any photos you’d like to see featured on the weekends, go ahead and shoot an email to the address below. Photo credit: DW Burnett. Used with permission. For more photos of his photos, check out his Instagram page, @puppyknuckles, and his website. For a big desktop version, click here. For a big version of the second photo, go ahead and click here.